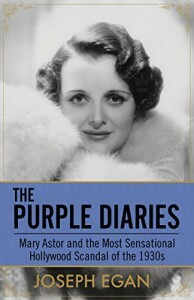 The Purple Diaries: Mary Astor and the Most Sensational Hollywood Scandal of the 1930s - Tolle Lege!. I knew I was going to love this book the moment the author started talking about John Barrymore. At the core of the book it's really just about a child custody case and how it plays out in a courtroom between two loving parents who want custody at any cost, but it's the tertiary stories that pop up in the telling that add so much depth to the court room events. The only subject I consider myself a real expert at is old movies. I just love learning that Fritz Lang the German Expressionist director who had not yet made an American movie is sitting behind Mary Astor in court proceedings over multiple days in order to provide support and observe the American justice system. If you know Fritz Lang movies, you will instantly realize how appropriate that is. Fritz Lang had not made his first American movie, "Fury", but as with that movie and everyone of his other movies the theme will involve justice and how it can get confounded with vengeance or revenge, an appropriate theme for the principals within the court case going on. Mary Astor's husband, Franklin Thorpe, is friends with Clark Gable. 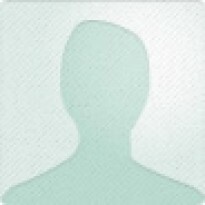 That implies loads of things about Franklin such as he will love hunting and so on. A couple of things, to me some of the best prose in the book is when the author was obviously quoting from Mary Astor's autobiography written in 1959 (oh how I wish Audible would make that book available, but I live in a fantasy world but I can always hope!) or when they were quoting from Mary Astor's diaries. That woman was an intellectual of the first rank and it shows. The book also gives the listener an interesting peek into human psychology by offering perceptive psychoanalytical perspectives when needed. It's pretty much impossible for me not to like a book that brings to life all the characters who I still love today such as Groucho Marx, Sylvia Sydney (the star of "Fury"), Frederich March and his wife, John Barrymore and various other and at times bit players from the 1930s both on screen and off screen.